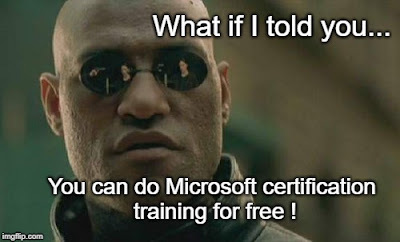 Welcome to the second of my new series of articles on free Microsoft training. Microsoft has partnered with LinkedIn to provide 3 months free access to the LinkedIn Learning Online training resources. These courses are provided by the well known online trainer - Lynda. Microsoft delivers this access via their Visual Studio Dev Essentials program. Once you join the Visual Studio Dev Essentials program, which is also free, you will receive access to several providers of online training as well as many other benefits. The LinkedIn Learning subscription includes access to ALL of their training courses, as well many certification paths. 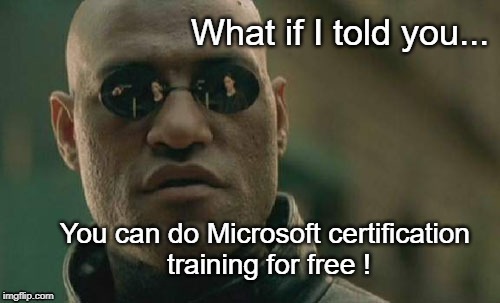 For more information regarding Microsoft certifications, please check this Link. Before continuing, ensure you are already a member of LinkedIn. To access 3 months of FREE training for the Microsoft certification paths above, you will first need to sign up for the Microsoft Visual Studio Dev Essentials program, which is also FREE. Although the Dev Essentials program includes training resources from several partners, this article will focus on accessing the LinkedIn Learning training only. I was able to sign up with my @outlook.com (Microsoft account) and did not need to verify that I was a developer. After joining the Microsoft Visual Studio Dev Essentials program, you will then be able to access your free three month subscription to LinkedIn Learning training. Once logged into VisualStudio Dev Essentials portal, scroll down to the 'Featured' section and select the tile - LinkedIn Learning. You will then be presented with a message advising that you were successful. Click 'Activate' to take you to the LinkedIn Learning website. As part of the Microsoft partnership, you will get access to the entire LinkedIn Learning platform for 3 months of unlimited access. Once you log in to LinkedIn, you can access your LinkedIn Learning via the 'Learning' icon next to the Work icon. Any courses you have started will automatically show at the top of the page. This will produce filtered results showing the eleven Microsoft certification paths. Note that this will NOT capture all Microsoft certification courses. For example, it doesn't capture the MCSA Office 365 certification. However, if I search for the exam number - 70-346 and select 'Learning Paths', I am able to find the correct learning path. 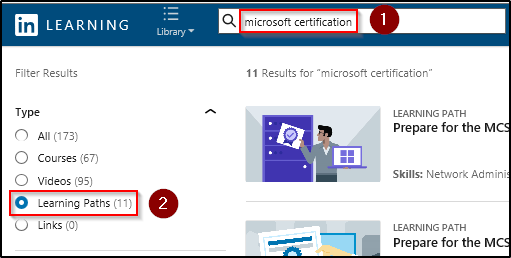 Going by this anomaly, it is highly recommended to plan your Certification track first by confirming the exam numbers on the Microsoft certification site, and then searching for the associated Learning Path within the LinkedIn Learning site. 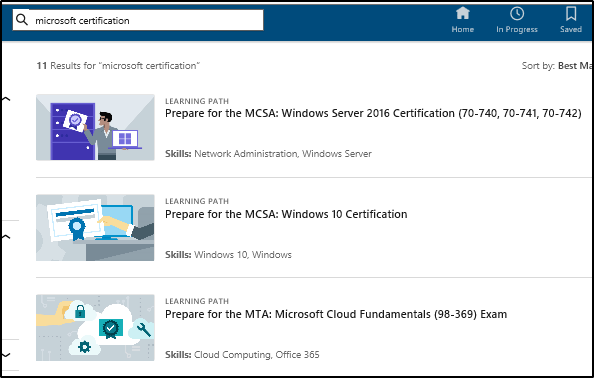 To make it easier for you, I have created the list below of the Microsoft Certification paths and included the direct links to the courses. 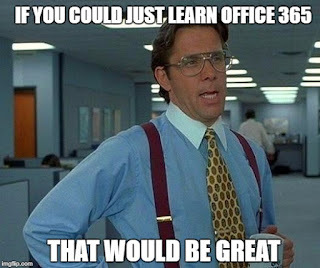 Congratulations, you now have access to 3 months of FREE training for Microsoft Certifications via LinkedIn Learning.